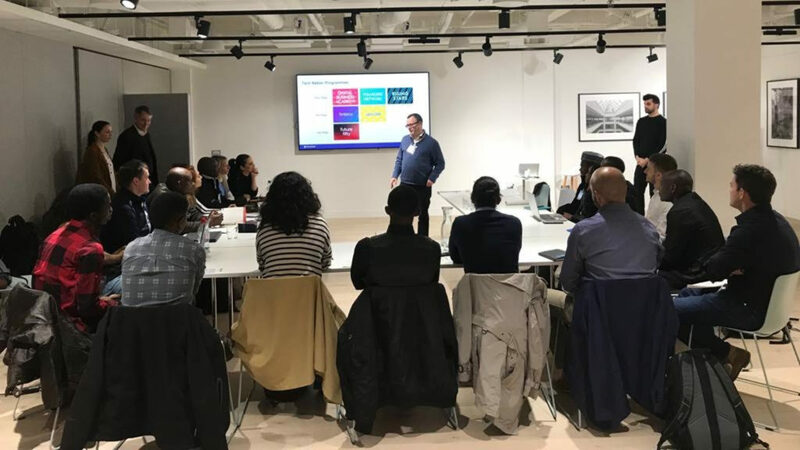 Twenty tech startups from Kenya, Nigeria and South Africa this week embarked upon a series of intensive workshops in London with market leaders and tech incubators — as part of the UK’s Department for Digital, Culture, Media and Sport’s Go Global Africa 2019 programme. The two-week long immersive programme — which kicked off earlier this week — aims to help the tech startups to improve their business skills and capability, build link with the UK’s tech sector. The programme will see the 20 startups participate in a wide array of specialised workshops, intensive innovation sessions with market leaders and tech incubators, as well as networking opportunities and meetups with London’s tech and startup communities. Afya-Plan, Ethredah Chao (Kenya): Afya-Plan is developing a digital savings platform for microfinance savings groups where users can save for medical services and be better prepared for medical emergencies. MyFugo, Allan Tulllo (Kenya): Myfugo is a web platform that gives precise data-driven insights on dairy reproductive cycles to accurately predict an estrus event resulting in successful lactations, increased calving and higher milk yield over a cow’s lifetime. Thriv Agric, David Azemoh Paul (Nigeria): This agritech startup provides farmers with best agricultural practices, money to farm and access to premium markets. Pineapple, Marnus van Heerden (South Africa): Insurtech Pineapple decentralises the insurance capital base through its patented wallet methodology which results in all unused premiums being returned to members. 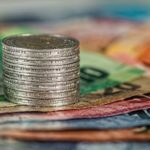 MaxiCash, Tania Mukwamu (South Africa): This fintech’s remittance solution helps African expats and diaspora send money back home. Helium Health, Ralph Oluwole (Nigeria): This healthtech startup aims to improve the way patient records and finances are managed and provide new ways for patients and practices to engage. HelpMum, Dr Adereni Abiodun (Nigeria): This social enterprise aims to reduce maternal and infant mortality by delivering lifesaving health information to pregnant women on their mobile phones. Elikham Systems Limited, Isaac Karani (Kenya): Elikham Systems Limited offers onsite wastewater treatment and recycling systems, solving the problem of water scarcity and environmental pollution, particularly in urban centres. Piggybank, Odunayo Ewenyini (Nigeria): This savings and investment platform helps users stop excessive spending by allowing them save and invest money they would normally be tempted to spend. FlexPay, Richard Machomba (Kenya): FlexPay allows customers — who are not in a position to access credit from financial institutions or make one-off payments — to reserve goods and services conveniently via mobile phones and make mobile payments, gradually, at their own pace, over a stipulated period of time. eTrash2Cash, Salisu Abdullahi (Nigeria): eTrash2Cash is a social enterprise that helps low-income people — especially vulnerable women — in Nigeria to earn and save cash benefits from exchanging their trash at local collection kiosks. Innovation Corner, Tochukwa Egesi (Nigeria): The Innovation Corner has developed the Remind Me Monitor, an automated management and reminder system for immunisation for mothers in Africa powered by USSD and Voice Technology. Nobuntu, Tyron Fouche (South Africa): Nobuntu is the startup behind The People’s Fund, a savings pocket that grows deeper as users grow older. Social Lender, Faith Adesemowo (Nigeria): Social Lender is a lending solution based on social reputation on mobile, online and social media platforms. Health Solutions Africa, Fanie Hattingh (South Africa): The Health Solutions Africa team has developed an enterprise smart health cloud and data aggregator platform. GLU, Owen Meredith (South Africa): GLU has developed GLU.Ware, a bank grade integration platform that enables clients to increase business agility, get to market quicker, and unlock business potential in an affordable way. Envisionit E-Pay, Terence Naidu (South Africa): Envisionit E-Pay provides a secure platform to facilitate trust between transacting parties no matter how big or small the transaction size. Technovera (South Africa): This social impact startup that has developed Pelebox, a smart locker system that enables patients to collect their repeat medication prescriptions in under two minutes instead of waiting hours in queues at public clinics. *Correction (29 March 2019): In an earlier version of the article we misspelt the names of Envisionit E-Pay and Elikham Systems. Ventureburn regrets the error.